Six years ago, teenager Jesse McKinnon woke from an unusually vivid dream. He’d found himself wandering around a forest but soon realised he was not alone as he stumbled across a scared little boy. They eventually called a truce once Jesse convinced young Stevie he wasn’t a bear. Sitting in a moonlit clearing underneath what becomes their special tree, Stevie finally calms when he sees Jesse’s scraggly beard up close and they speak in the dappled moonlight for hours until Jesse wakes up. Jesse soon forgot about his fantastical dream and life went back to normal. Six months later he found himself back in the woods again talking to young Stevie once again. They soon became friends as the frequency of the dreams increases and as Jesse quickly realised that Stevie wasn’t a recurring dream, he was real, in trouble and needed help fast, so Jesse made it his mission in life to find him and help him. Jesse couldn’t believe that Stevie was in an institution, full of children with autism because Stevie was fine. He couldn’t tell Jesse where he was because he’d been there since he was really young. This in turn left Jessie taking jobs all over the US in center’s for children with autism, searching for Stevie. I really think that this part of their story was a missed opportunity as it was referred to throughout the book as how Jesse found Stevie. This could have possibly been drawn upon to create more mystique and shown the trials Jesse went through while frantically searching for Stevie and enforced how strong a bond they’d created over six years in Stevie’s dreamscape forest. 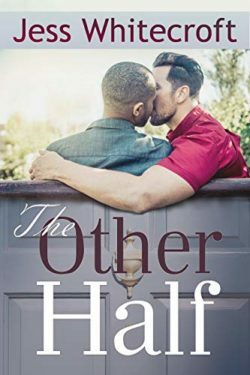 Instead it begins to switch back and forth into a romance novel between Jesse and Drew, one of his co-workers and Jessie’s fight to keep helping Stevie and it gets confusing and is a touch jarring during some of the plot changes. It is a well written book though, with excellent characters but I was left with more questions after I finished reading it than I had before I began it. There were things that were never officially resolved either. The two main plots didn’t merge very well and although this was more than warranted during the book as one bombshell after another kept coming while I was reading it. I kept getting distracted by all the terrible things that were happening which seemed fine at the time but when I finished it I felt like I’d just watched a 5 Set Final of Grand Slam Tennis. I was really drawn to What No One Else Can Hear because of the blurb. It sold me very quickly but I have to admit this book wasn’t quite what I expected though. I’m sure people will love it but I honestly think the blurb needs to be rewritten. One of my main unanswered questions I was left baffled over was, is Stevie an autistic Empath or just an Empath as there was no closure with this because of his strong autistic traits. There were a few other things I was left wondering over too. I concede that I’m possibly being harsh here which I don’t like to do but paranormal is my favourite genre and it’s taken me a week to try and find a way to write this review. So the best thing I can say is that I think lovers of contemporary drama and romance will love this story with it’s beautiful HEA. It’s an excellent thriller too and did have me on the edge of my seat more than once, but I don’t think paranormal fans will be as happy. I feel the paranormal aspect of this book got lost amongst all the strong, well written drama surrounding a nasty co-workers revenge, a very ugly and extremely dramatic court case. That was horrible to watch a beautiful man be very publicly accused of something vile he didn’t do, a fire, and we can’t forget a puppy for good measure. What No One Else Can Hear is a well written novel but I placed too much in a blurb because of my love for all things paranormal in the M/M world.